The National Center for Earth and Space Science Education, and the Arthur C. Clarke Institute for Space Education, are proud to present the 15 Mission Patches selected for flight to the International Space Station (ISS) in Orion, the experiments payload for SSEP Mission 4 to ISS. 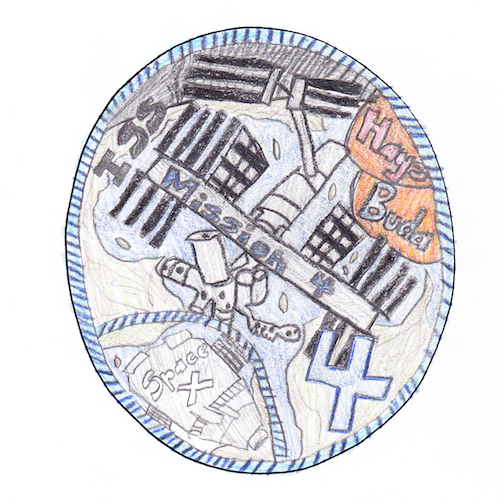 Across the 11 communities participating in Mission 4 to ISS, 13,651 students were given the opportunity to participate in mission patch design competitions at the local level, and there were 2,583 patch designs submitted. Judges within the communities selected the 15 patches shown below. 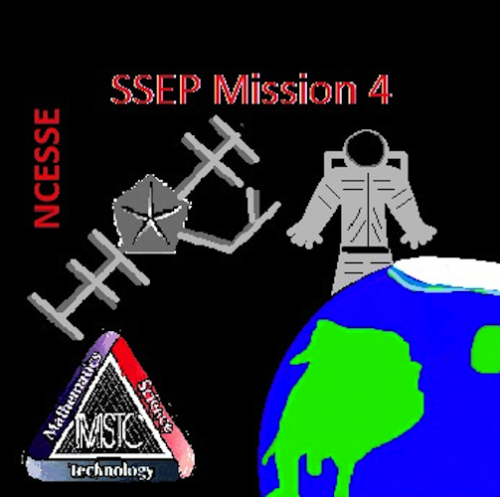 You can also read more about the Mission 4 to ISS Patch Competition at the main SSEP website. 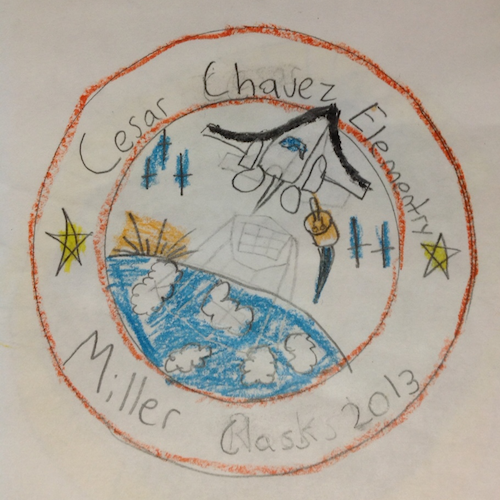 STEM School and Academy in Highlands Ranch conducted a mission patch competition throughout our entire school, 630 students were given the opportunity to participate. Because of the large number of students involved, we held 2 separate competitions – one for our 6th and 7th graders and the second for our high school students. Across both competitions we had approximately 330 entries. Some of these entries were from small teams and others from individual students. The winning middle school patch was from a group of 2 sixth graders and the winning high school patch was from a single 9th grader. Most of our students were very excited about the prospect of sending something to space and since they all couldn’t participate in the experiment competition, this was the perfect opportunity to engage the whole STEM community. The Huron County Community Mission Patch competition was designed to align with another large-scale community event, Embracing Our Earth (EoE)- a community/family oriented green festival focusing on sustainable energy and environmental stewardship. Schools were sent information/rules with flyers (paper and electronic version) to distribute to all K-12 teachers and students. Over 480 students, from 15 different school buildings across Huron County submitted patch designs. Students designing patches ranged from Kindergarten through Grade 12. Patch designs were displayed prominently at the EoE festival for the entire community to experience. About 3,000-4,000 participants typically attend this festival. 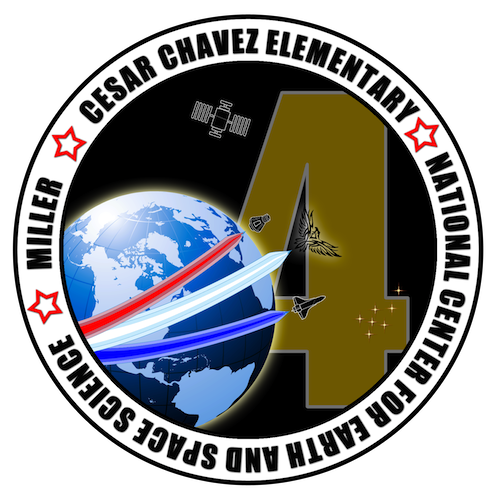 Mission Patches were also judged that day with the top two patches being chosen to fly on SSEP Mission 4 to the ISS. 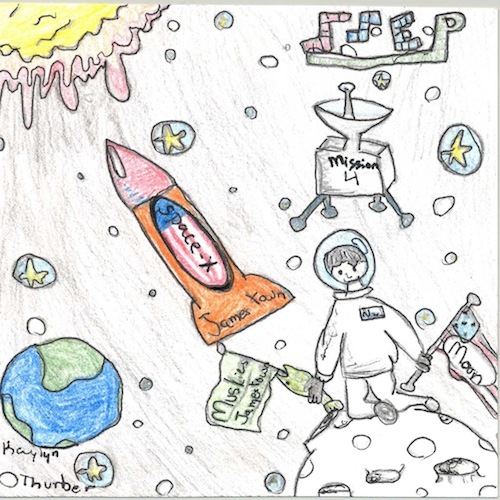 Our Mission Patch Contest involved approximately 700 students from a variety of high schools and high school programs. Students at the Macomb Mathematics Science and Technology Center (MMSTC) and Community High School at the Butcher Educational Center participated along with students from 12 feeder high schools to MMSTC. To publicize the event, freshmen students at MMSTC made a video about the contest. The best video was posted on the MMSTC website. One hundred patch design submissions were received from these 9th – 12th graders. The review committee chose Cooper Homic, a freshman attending both MMSTC and Cousino High School, as the winner of the contest. 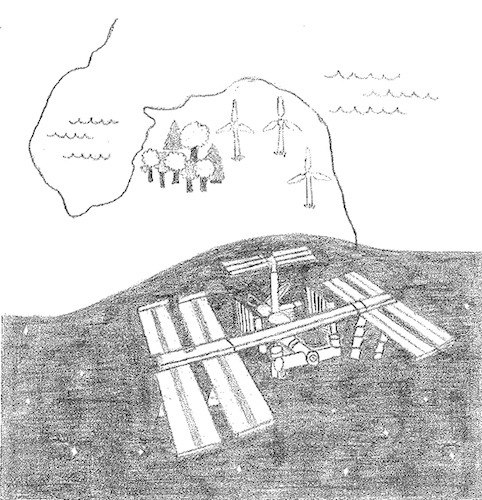 Cooper’s winning design, along with the second and third place winners, will appear in the school newsletter. 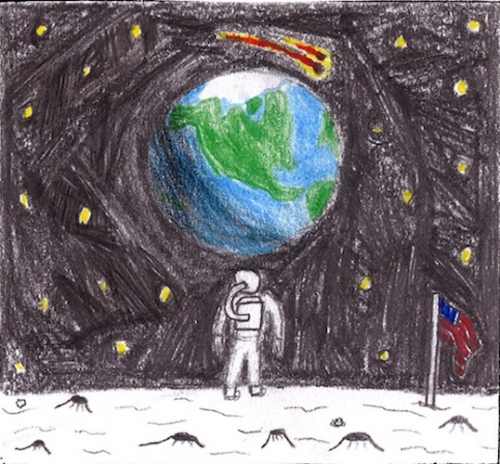 All 276 students in grades 9-11 at Rochester Early College International High School were invited to participate in the Mission Patch Design competition. 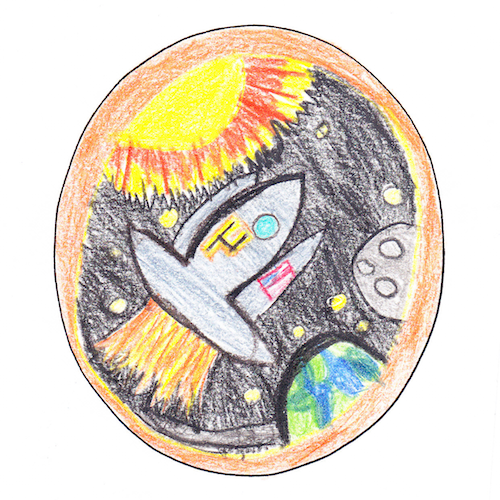 Criteria and examples of previously chosen patch designs were provided to all students through their science classes, and students were given several weeks to design and submit patches. The art teacher judged the patches received based on content and design and chose the winning mission patch. The winning design was submitted by Reshay Carter, an 11th grade student in General Chemistry. Reshay was recognized at our weekly whole group advisory meeting for her accomplishment. 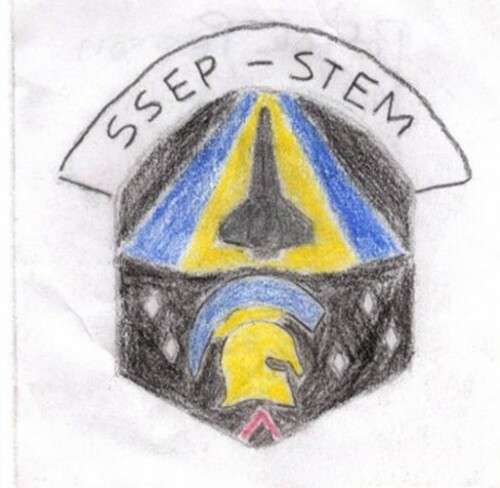 The Downingtown Area School District SSEP Mission Patch competition was opened to each of the district’s 10 elementary, 2 middle, and 3 high schools. The competition was open to all of our 10,000 students. Across grades K-12, 560 total patches were received by our building level coordinators. The building level coordinators then ran local competitions to determine a building winner. 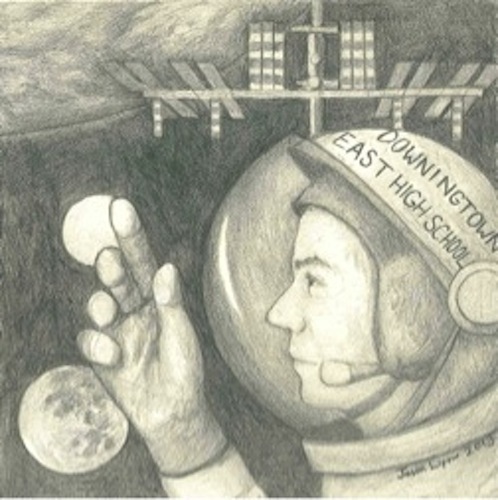 Once each of the building winners was determined, a district wide vote was taken to determine the two patches that best represent the Downingtown Area School District. Two separate patch design competitions were conducted. Under the direction of the art teacher, each student in grades K-4, and each SSEP experiment design group in grades 5 -12 created a patch. The art teacher picked a dozen or so finalists, and then a group of faculty/administrators met to select the winners. 200 students in grades K-4 were engaged and submitted patches. 351 students in grades 5-12 were engaged and submitted 65 patches. A total of 551 students were engaged and 265 patches were created. 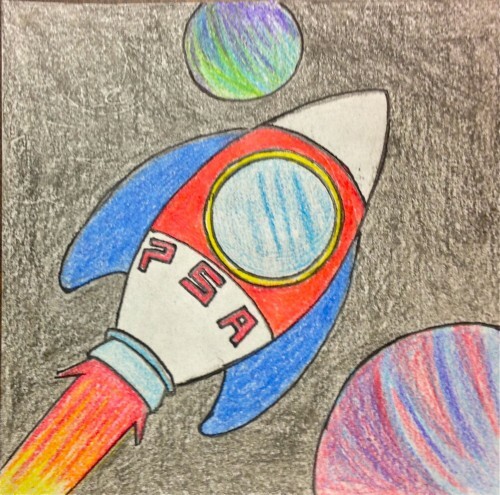 The Mission Patch Contest at Palmetto Scholars Academy involved 289 students from grades 6-10. Students began submitting mission patches during the school-wide Space Science Night, which provided the launch of the Student Spaceflight Experiments Program. 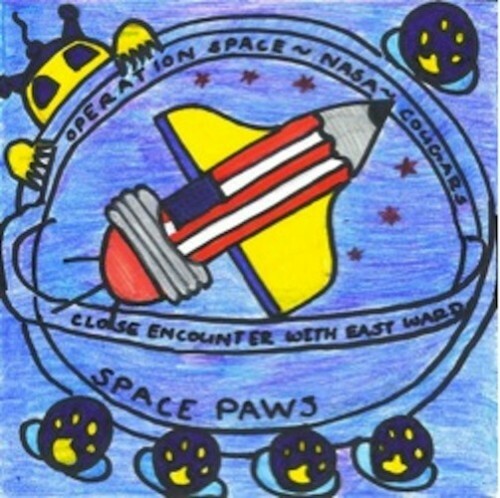 Patches were created during art class, but students could also come to the lobby during their spare time and visit the “Mission Patch Station.” The station had markers, colored pencils, crayons, and 3.5″ x 3.5″ square papers available. So, all students had the opportunity to create that winning patch. 120 patches were received, and a panel of volunteers serving as the fine arts committee selected 10 finalist patches. A school-wide vote was held to select the winning patch from the 10 finalists! Palmetto Scholars Academy is proud to announce that 10th grader Charles Cook is the artist who designed the Mission Patch winner for the school. 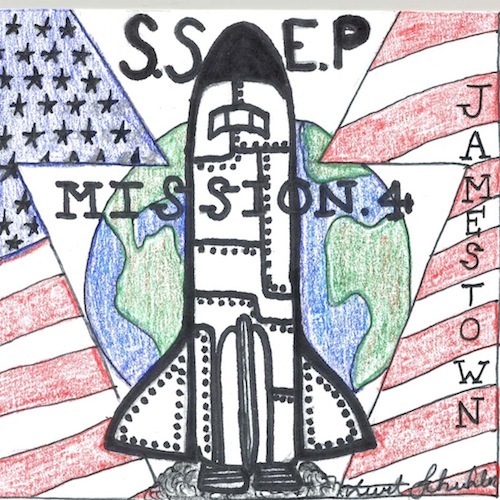 Students in Hays CISD in Buda, Texas, were introduced to SSEP Mission 4 to the International Space Station in March, 2013. 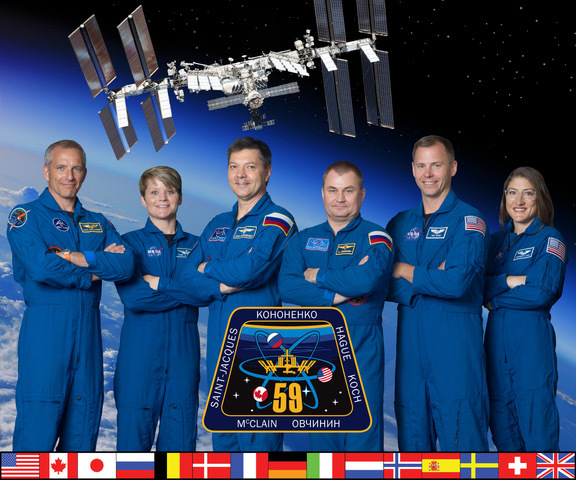 They saw images of the ISS, of previous patch winners, and heard about the contest to design an experiment to go into space. Students at Dahlstrom Middle School and Carpenter Hill Elementary School participated; 640 patch designs were completed. Fifteen finalists were chosen and all students voted on the winner from the younger students and the winner from the older students. We are all anxiously anticipating the launch of Mission 4 in the Fall! The community’s participation in the SSEP Mission 4 to the International Space Station provided a great opportunity for the school district to further pursue its commitment to excellence in STEM education. The involvement in the program created excitement across the community. 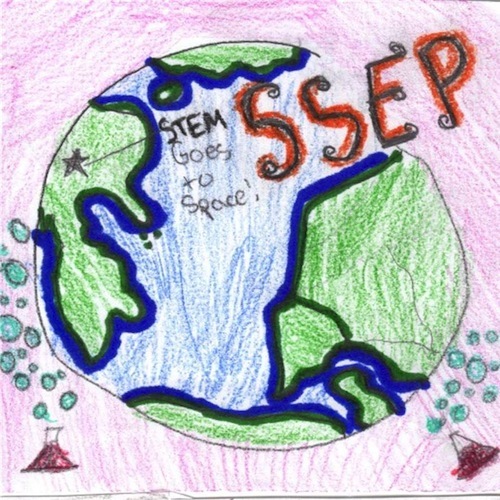 The SSEP mission patch design competition was open to grade K-12 students across 40 different schools. We received a total of 84 patches from our local competition.